The house of Sisley is known for their complex and rich fragrances (soir de lune, eau du soir, soir d'orient,...). Now, in 2017, Sisley is launching a new fragrance: Izia. Izia is announced to be a modern fragrance. A combination of sensual notes but still very classy. 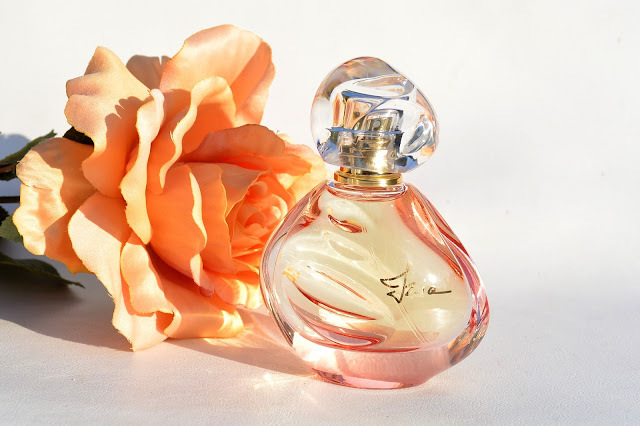 A modern and feminine composition with a unique and solar floral heart, that's the description of the new Sisley fragrance, Izia. 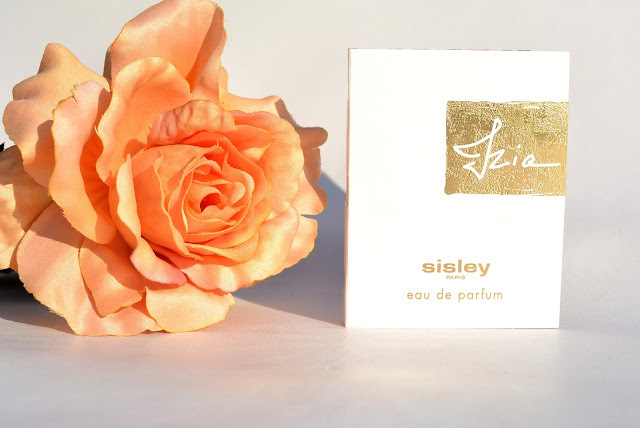 Sisley Izia is a modern, new and multifunctional perfume with the focus on the notes of the rose. And not just any rose, but the Rose D'Ornano, the name of the Sisley family (Hubert and Isabelle D'Ornano). The name Izia is the Polish version of Isabelles name. And that's how Izia was born. Izia seduces with its airy, floral heart and the warmth of a woody base softened with musks. I have to admit, Sisley fragrances are always a little expensive. But this perfume is totally worth it ( for me). The perfume stays very long on your skin. I've put some Izia on a ribbon thursday and lay it down just in the open air. 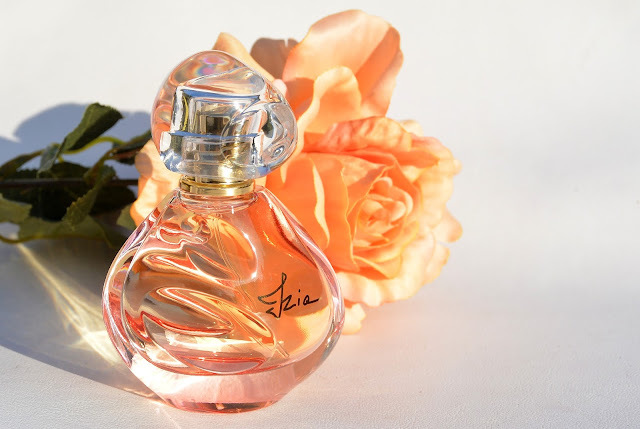 I took the ribbon back this sunday because I was writing this post and the perfume was still noticeable on the ribbon, amazing! Sisley Izia is available in 30 ml, 50 ml and 100 ml. I'm not the biggest fan of Sisley perfumes but I love bergamot and pink pepper so I will give this one a try! Mooi flesje, en inderdaad wel prijzig! Een van mijn favoriete parfums van Hermes is ook vrij prijzig, maar als het goed is, is het goed haha! I've never tried one of their scents before but I'm definitely curious about this one! The discription sounds like something for me.